Bringing back a cadre of warrant officers to the Air Force and making them pilots might not be the solution to the aviator shortfall plaguing the service, and would actually hurt retention, a recent report from the Rand Corporation concluded. But creating an “aviation technical track” for commissioned officers, in which they would focus only on flying and not on career development opportunities to prepare them for leadership, might help. 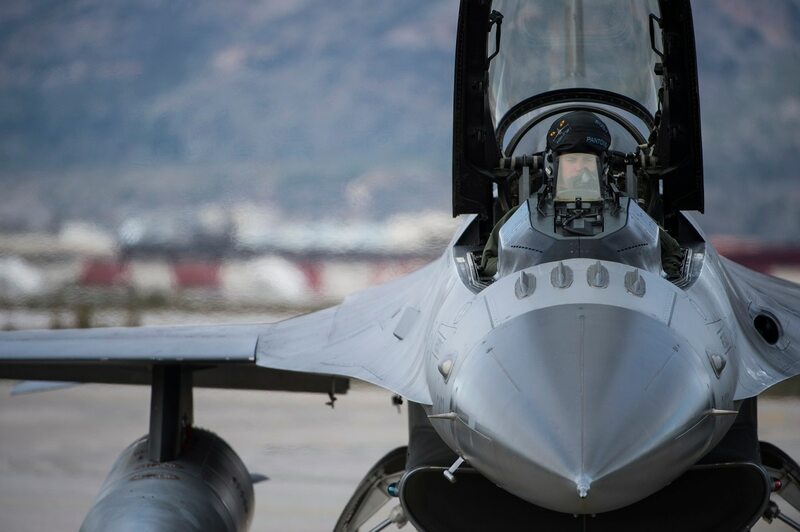 In the report, “Supplemental Career Paths for Air Force Pilots,” released Aug. 16, Rand researchers said that carving out about 1,000 warrant officer pilots, out of the nearly 13,000 total pilot population, would initially save money due to lower personnel costs. Warrant officer pay maxes out at about what captains make, so the Air Force would have to pay those pilots lower basic pay, allowances, pilot incentive pay and lower retirement costs in the future. But there’s a catch: The Air Force is already struggling to hold on to its higher-paid commissioned officer pilots who are being lured by the prospect of lucrative jobs flying for commercial airlines such as Delta and United. And the lower paycheck warrant officer pilots would receive would make those hefty private paychecks seem even more tantalizing. As a result, Rand said, warrant officer pilot retention would be even worse than current rates of pilot retention, requiring the Air Force to produce more new pilots and increasing training costs. In the end, the personnel savings would outweigh the increased training costs, saving the Air Force anywhere from $4 million to $30 million. Air Force inches closer to warrant officers: Could they fix the pilot crisis? The Air Force is closing in on a new report on whether it should reinstate warrant officers for the first time in six decades. But even today, the Air Force is straining to train enough pilots to replace those leaving. And Rand warned there’s no guarantee the Air Force would be able to produce enough new pilots to keep up with the worsened retention under a warrant officer program. The Air Force is now short about 2,000 pilots, or about 10 percent of its overall pilot population. Rand saw more potential in an alternative program that would allow about 1,000 officers to do essentially nothing but flying, once they reach major and lieutenant colonel. This flying-only track would be attractive to talented and promising officers who love flying and don’t want to do anything else, Rand said, even though they know that passing up on the traditional career track would hurt their promotion prospects. It would also appeal to “officers with weaker career paths,” who see a flying-only career as a way to improve their chances at a promotion. Flying-only pilots would be guaranteed assignments of at least four years before having to move on to their next station, Rand suggested. Creating such a career track would improve retention, as pilots would have fewer responsibilities distracting them from flying and be more satisfied in their jobs, Rand said. This would result in more pilots staying in at O-4 and O-5, which would slightly increase payroll costs for the Air Force. But it would also mean the Air Force would have to train fewer new pilots to replace those who left, the study said. And the lower training costs would outweigh the increased personnel costs, resulting in net savings for the Air Force. Rand said those flying-only pilots would be at a disadvantage compared to other officers, because they would skip “key developmental experiences,” the report said. So Rand suggested creating a new competitive category for promotion, separate from the Line of the Air Force category, for those flying-only pilots. Creating a flying-only technical track would be simpler than creating a warrant officer program, Rand said. Warrant officers would require developing new processes and policies for recruiting, accessions, compensation, retention, promotion and other life-cycle issues. But the flying-only track would only need a few adjustments, Rand said, and most problems would be solved by creating the new competitive category. In July, Air Mobility Command announced that eligible mobility pilots could apply for its new Aviator Technical Track that cuts out non-flying-related duties and lets them stay in the cockpit longer. “This fulfills a promise to our airmen that we listened to them and wanted to implement their ideas,” Gen. Carlton Everhart, head of AMC, told Air Force Times. Everhart said he’s seeking a small cadre of active-duty mobility pilots who are majors or major-selects with 11 to 13 years of commissioned service. Selectees are still required to maintain all Air Force standards, including health and fitness and readiness requirements, but professional development education and advanced academic degrees are optional. Airmen have until Aug. 17 to apply. As the Air Force has struggled to fix its longstanding pilot shortfall, some have suggested bringing back warrant officers and having them fly. The Army, for example, uses some warrant officers as helicopter pilots. In an April interview, Lt. Gen. Gina Grosso, the former Air Force personnel chief, noted that some lawmakers have suggested creating warrant officer pilots. But Air Force officials have been lukewarm at best at the prospect of reviving warrant officers. In June, researchers from the Mitchell Institute for Aerospace Studies released a paper that likewise shot down the idea of making warrant officers into pilots, also concluding retention would worsen.